In the late 1990s through the mid 2000s Intel found itself in a situation where it was heavily invested in a microprocessor architecture that ultimately had no future. Intel's platform strategy at the time was also guilty of making the wrong bets. Additionally the company was experimenting with broadening its focus and shifting from a microprocessor manufacturer to a silicon manufacturer. The combination of all of these factors left Intel in an extremely vulnerable state, one that its competitors were able to take advantage of. VIA Technologies, a fairly low-cost player in the chipset business back then, was able to see real success selling chipsets to customers who were displeased with Intel's offerings. The bigger and more painful surprise was that AMD, Intel's chief competitor in the x86 CPU space, was able to gain significant marketshare for the first time in its history. For Intel, the painful learning experience resulted in an internal mandate: no more surprises. Intel invested heavily in competitive analysis groups that would model the expected performance of the competition's roadmap and feed that data back into the development cycle for its own technologies. The other major change was a shift to a two-year architecture cadence, now known as the tick-tock model. Significant architecture changes every two years, separated by minor updates and process node shrinks during the interim years guaranteed that Intel's product lineup would always remain fresh. The other thing tick-tock guaranteed was that Intel would only be on the hook for two years with any given architecture. Should the competitive analysis teams have missed something, a two year cadence would make any major course correction feasible before significant marketshare was lost. While the tick-tock model was somewhat unbelievable in '05 - '06, it makes a lot of sense today after more than a couple successful iterations of it. More recently, Microsoft announced a planned shift to a 3-year OS release cadence. Just last week, Apple announced a move to annual releases of OS X. The benefits of an aggressive release schedule are clear, the question is whether or not it's a model that will work in software like it has for Intel in hardware. 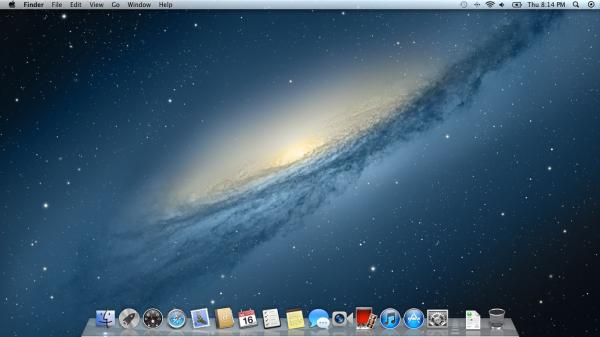 Mountain Lion is supposed to be the first instance of this yearly OS X release cadence. In speaking with Apple it's clear that annual OS X releases is the goal, however we may see some fluctuation. I wouldn't be surprised if over the next few releases Apple doesn't stick to a 12-month cycle, but instead allows for some wiggle room. While Intel's tick-tock model is generally viewed as a success, historically we haven't seen a new microprocessor from Intel every 12 months on the dot. Both in the hardware and in the software space we're talking about major projects requiring, at times, hundreds of engineers. Maintaining a strict schedule is near impossible, but it's important that the goal is there. 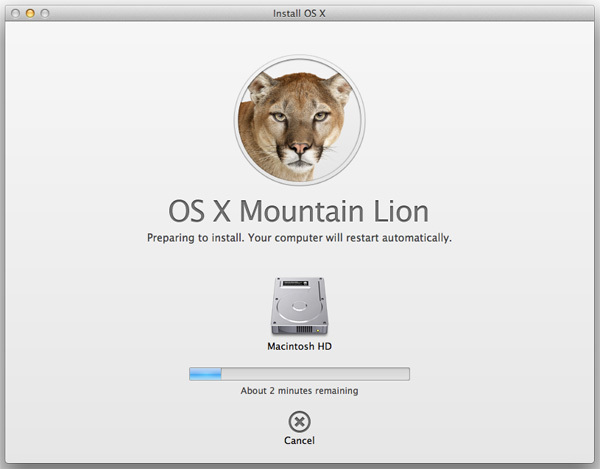 Prior to Mountain Lion, major OS X versions were released about every two years. Panther, Tiger, Leopard, Snow Leopard and Lion were released in 2003, 2005, 2007, 2009 and 2011, respectively. Mountain Lion is scheduled for release this summer, likely around 12 - 13 months after Lion's July 2011 release. Apple's motivations for moving to an annual release cycle for OS X are obvious. Through small but consistent evolution Apple has been able to build iOS from a platform at a feature deficit to the incumbents to an industry leader. It's not uncommon for companies to look at financially successful models internally and apply them to other business units with hopes of achieving similar results. The Mac business unit isn't in trouble by any means, but as Microsoft becomes more aggressive in wanting to defend Windows' territory Apple is more motivated to respond in kind. Windows 8 is a highly anticipated release from Microsoft and I don't believe it's a blind coincidence that the first preview build of Mountain Lion was made available to developers thirteen days before the Community Preview release of Windows 8. As different as the typical Mac and Windows PC consumers may be, Apple and Microsoft view the audience as a whole as tasty potentials. There are also the engineering benefits of an aggressive release schedule. We've seen the impacts of tick-tock from Intel and ATI's old philosophy of showing up to the fight. An annual release cadence, at least on the hardware side, tends to trip up the competition more and work out pretty well. Again, it remains to be seen how well this philosophy maps to major OS releases but in theory, it's good. Finally we have the fluffier benefits. Version numbers get bigger, quicker. There are more PR opportunities and customers generally like getting new things. In the iOS world these updates come for free, so long as you aren't running unsupported hardware. Although Apple has done a good job of lowering the price of OS X over the years, it's unclear whether or not it's going to take the final step and give away the OS for free. OS X as a whole is a bigger, more complex project than iOS (part of why the annual cadence is going to be more difficult to pull off) so I can understand the justification of charging for each update. But from a general consumer perspective it remains to be seen if the expectation for free updates will become commonplace or not. All in all, a more aggressive release schedule can be a good thing. We've seen it with individual applications (Chrome) but not as much on the OS side. There's the danger of changing too much, too quickly, but Apple has historically done a good job of staying on the right side of change when it comes to OS X. What will this do to point releases? Will we see just as many of them or fewer as a result of the shift in strategy? I suspect the latter will ring true unless Apple decides to significantly grow the OS X team. The bigger question to me is whether or not we'll see a similar move from Microsoft. Each OS X release was always punctuated with slight UI differences that made newer releases feel, well, newer. It's not about implementing dramatic shifts in the UI paradigm every year, it's about the slight changes that make something feel newer or different. It's a mid-cycle refresh in a car maker's lineup. Logically it's not enough to warrant trading your two year old car in on the updated model, but emotionally it makes us do stupid things. Years ago I remember hearing that PC manufacturers were hoping to imitate the automotive concept of buying computers by model year vs. specs. Apple got the closest out of anyone to achieving that goal and its OS X strategy is clearly designed to be in line with that. "This is another example where Apple has to carefully straddle the line between pushing everyone to the Mac App Store and not abandoning the rest of the Mac software ecosystem. I would like to see feature parity regardless of distribution model (perhaps with some restrictions) on OS X going forward, but I'm not sure that will happen." Not only that this won't happen.. but it is an approach that Apple is using to make sure that developers are forced into the Mac App Store. If your non-Mac app store app doesn't have access APIs reserved only for those who distribute through the App Store than you are at a serious disadvantage thus you need to make a version for the app store. Doing so you basically scar your customers who buy directly, basically forcing you to give Apple 30% and go through the app store. So if Apple doesn't directly cut off any software that doesn't come from them (or through them) this is the way they will most definitely force developers to give them money. It is not matter of whether they will do it, but when. By default, deliberately, they have placed a huge warning sign already telling users that they can't run an app that's not from the App Store.. 80% of the users will never go to Preferences to check off unsigned apps and thus forcing developers to again go through the Mac App Store. Either way, this is a disgusting Apple tactic, that locks everyone in even further into their platform under the disguise of "security". But I guess, as time passes by, most people "loving" Apple will realize what kind of evil they have been supporting but it will be too late as it already may be.